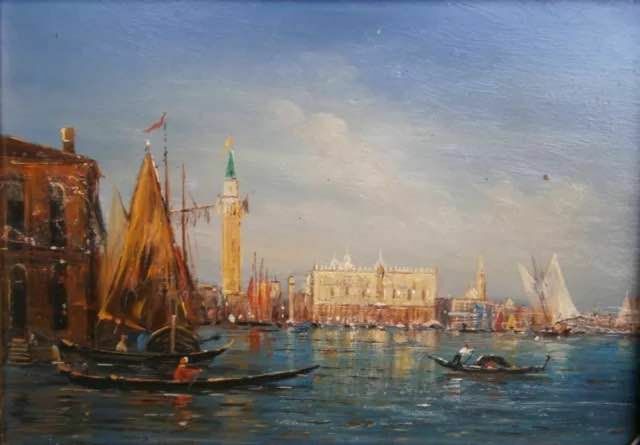 Venice, circa 1900. 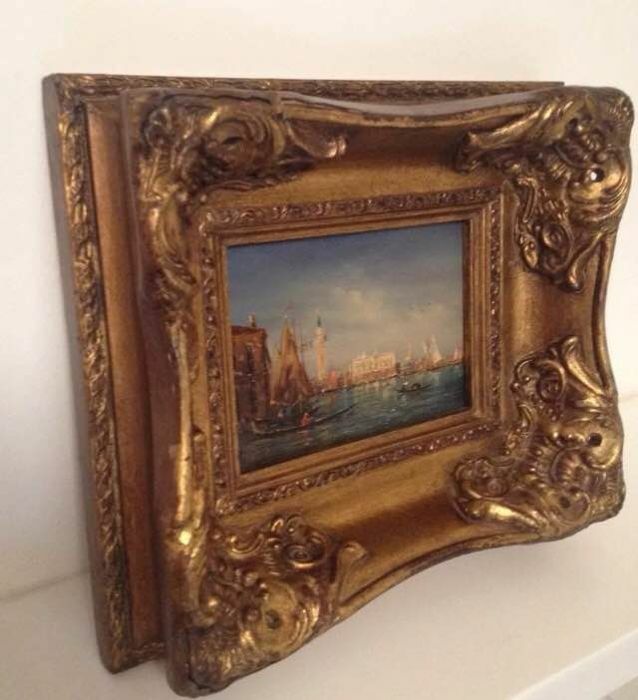 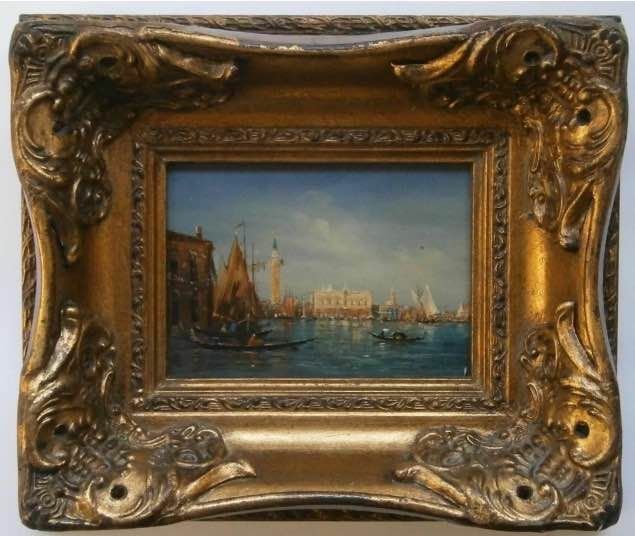 Oil on canvas, 12 x 17 cm; with carved and gilt coeval frame 27 x 32 cm. 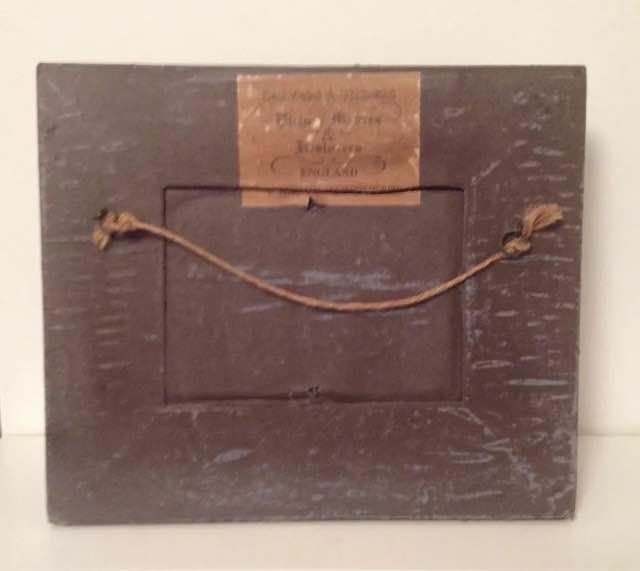 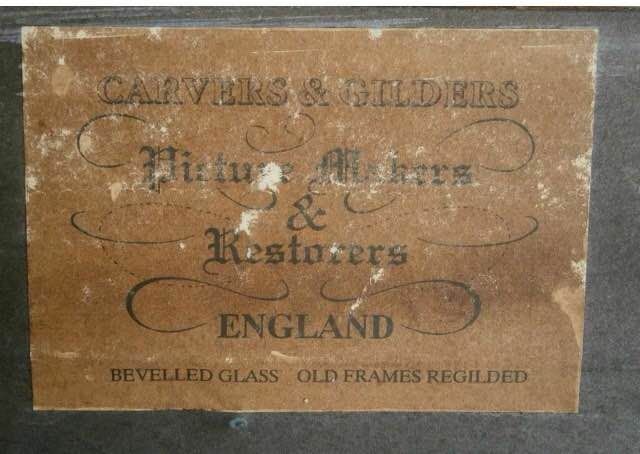 Crevers & Gilder label.